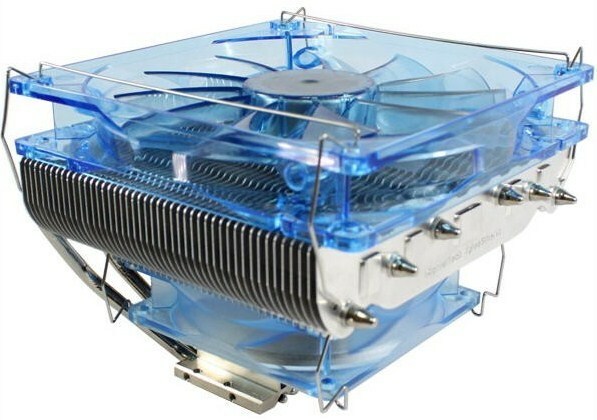 GlacialTech has revealed its new CPU Cooler named the Siberia Performance CPU Cooler. 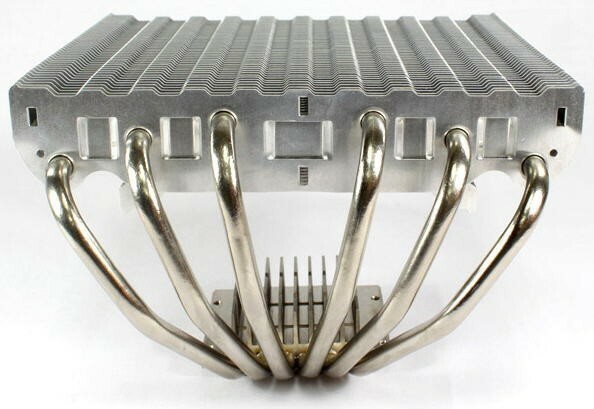 The cooler uses two Push/pull fan on either sides of a dense aluminum fin array to which heat is dissipated by the help of six heat pipes. The heat pipes make Direct Contact Touch with the CPU Base near a small heatsink at the bottom. The two fans include a 140mm which spins at 800-1400 RPM while the other 92mm fan placed at the bottom spins at 1300 RPM and is used to push air. The dimensions are as follow: 146 (W) x 150 (L) x 120 (H) mm and weighs 620 g. A Tube of Ice Therm II is bundled with the Fan. The Siberia Performance CPU cooler is expected to be released with in this month.